For savvy investors looking to get ahead of the pack, are looking pretty appetizing right now. But how do you home in on the biggest discounts and lock in returns you can brag about? 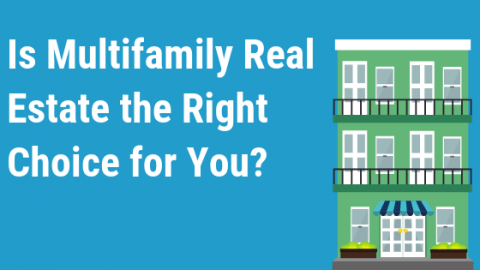 What makes multifamily real estate a good investment? Multifamily real estate investments are hot right now. Stock and bond investors are fed up and looking for a better option and ex-single family investors are upping their game as they jump back into the new, rising housing market. Why? Where to find multifamily real estate? Why invest in multifamily REO? How to find motivated REO sellers? Multifamily and apartment investing have been hot and with good reason, prices have appreciated substantially over the last several years especially since residential construction single-family homes has not kept pace. The beauty of investing in multifamily or apartment buildings is that you limit your risk by having more tenants in the same building and at the same time you get Leverage by having a single roof the single driveway Etc shared services to maintain. Perhaps one of the biggest reasons multifamily is so attractive right now is rates. Rock-bottom mortgage interest rates offer sweet leverage that can help investors wield big numbers and gains. Best of all, when buying good-sized multifamily investment properties this means access to non-recourse loans, allowing investors to kiss personal risk goodbye. Advanced investors also recognize that multifamily means a lower ‘cost per door’ and thus a better ROI. They are far easier and more economical to manage than single- families and improvement costs boast superior returns and enable earned equity to be created regardless of market fluctuations. On the other hand, multifamily and apartment investing do tend to correlate strongly with the economy. That is to say that when the economy turns south, the types of folks who rent apartments tend to be more affected. This can mean a drop in rents and increased vacancy which leads to a lower overall value of the property. However, as any good real estate investor knows multifamily apartment investing is for the long-term not the short. Private multifamily apartment building owners are unfortunately a poor source for appealing deals today. Those who have gotten in the last couple years know they are on to a good thing with rents rising and equity appreciation on the way. Aging owners who have equity and are interested in cashing out while there is a big interest from buyers are all too often pumped up by real estate agents and asking far too much. Either you have 6% plus realtor commissions tacked on top, or owners are just being unrealistic. Though there have been a few news stories recently about potentially foolish investors getting carried away on the new speculation train and paying full price. Some people will never learn, which leaves banks with distressed multifamily properties, non-performing loans, and REOs. Do You Know Who is Holding the Most Distressed Multifamily REO? More importantly, do you know who is holding a lot of non-performing multifamily loans and who most other investors are failing to approach, leaving them highly motivated to sell and at large discounts? When you’re buying multifamily as REO or direct from a bank, you are virtually assured the best pricing. Banks do not want to have buildings with tenants, least of all buildings with lots of residential tenants. Banks are highly motivated to sell their multifamily REO. Most of the money that you’ll make in multifamily or apartment investing will be on the buy side, that is to say, that you must buy it right. By tracking bank data, investors can quickly assess who is hurting the most, who has been selling multifamily REO quietly and, with the right software, exactly who to contact to hammer out a tasty deal of your own. What if you could instantly identify a bank who took a $77 million hit on REOs recently, has recently seen an almost $50 million jump of non-performing loans turning into REOs on its books, and get the contact of the key decision makers right now to start negotiating? You could if you had BankProspector! Looking for multi units, California only. Looking for multi-family properties in Central Texas. Bexar, Comal, Guadalupe, Hays,Falls, Milam and McLennan Counties in Texas. Looking for multi units, Chicago only. Looking for nationwide multifamily discounted/distressed properties. Please contact me regarding multifamily buildings thanks. Thanks for the short list of asset sellers. I’d need to syndicate money in order to pay for distressedpro though, being on a VA check. Hope your year is good. Looking for NC, SC, FL, GA, VA,TN,KY multifamily discounted/distressed properties.